In October 2009, Apple began allowing app developers to add in-app purchases to free apps. The move was beneficial in many ways, reducing the need for lite versions of apps and allowing developers more freedom in their pricing structures. But the move also paved the way for a new experience within iPhone gaming: freemium. 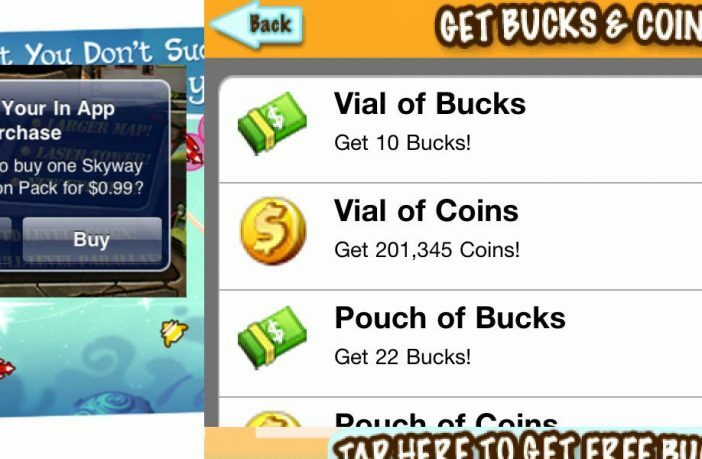 Freemium games are free to download but encourage the player to pay money for some kind of in-game currency which will allow the player to progress through the game more quickly. The format has become incredibly successful, with freemium games often dominating the top grossing apps chart in iTunes.Many developers have sought to capitalise on the potential of the freemium model, with one of the first and most notable examples being Ngmoco. They developed a whole load of popular ‘traditional’ paid games like Rolando, Topple and Word Fu. But they decided to turn their back on such paid games when in-app purchases were enabled for free apps, realising the commercial potency of the freemium model. “We’re just finding that, with paid, you can’t make any money”, they said. On the other hand, the freemium model allows players to try a game for free and pay a little for it if they think it’s worth it. 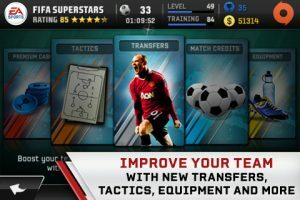 With the continuous flow of money and feedback from players, the developer can afford to update the game with the features that players ask for, thus encouraging the customer to continue playing the game. It sounds like a mutually beneficial payment system. Sadly, though, that’s not how it’s worked out. Freemium games are too commercially focused for the game experience to really shine through. They often prioritise money over player experience, acting more like sales pitches than actual games. It’s my view that games should distract you from the mundane (but vital) details of life like, y’know, money. In being geared towards making you regularly spew out the innards of your wallet, freemium games cannot capture the escapist bent of traditional games. A prime example of this is the recently reviewed remake of a PC classic, Theme Park. The EA game is so focused on making you spend your money on it that it completely forgets to cater for players that just want to enjoy the game. It left a bitter taste in my mouth playing it, as I’m sure comes through in the review. I wasn’t the only one that felt annoyed about the use of a freemium model in the app either – just read some of the comments. 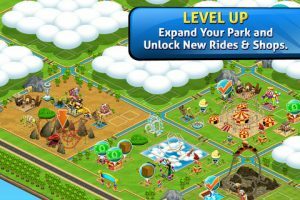 In all fairness, Theme Park is a particularly drastic example, but the overly overt commercial focus of freemium games is something that crops up again and again. And with good reason: Despite it being utterly terrible, I remember seeing Theme Park in the top grossing apps chart. People are willing to shell out money on shallow freemium experiences. It’s well known in the retail world that if a customer touches a product, they’re more likely to buy it. As I see it, the concept is the same with freemium games: A customer trials a product whilst being incessantly fed a sales pitch, and so spends more on it. The rewarding sense of progression inherent to the freemium model, combined with how the customer can increase their rate of progression by spending real life cash, boosts this willingness to pay out for freemium games yet further. So, the customer is duped into spending more money on a shallower experience than that provided by a traditional paid game.The developer profits and becomes inclined to continue employing the freemium model in other games. The customer becomes more accustomed to the freemium experience, and so accepts it more readily. The developer makes yet more money. The freemium model is used more and more within apps, and traditional paid games are pushed more and more frequently into the background – just look at how Ngmoco axed Rolando 3 so that they could focus entirely on making freemium games. The app store becomes more profitable for developers, but very much less so for people that want genuinely engaging, enjoyable and immersive gaming experiences. How do you feel about freemium games? Let me know in the comments section below! I agree. I think that the current freemium ‘boom’ is temporary and will leave many people with the impression that mobile games are all out to squeeze every penny from you. I know two people who have an iPhone but hardly touch any games because of this. The whole thing just feels underhand. I’m glad you agree. I really hope that it’s temporary – I guess only time will tell. I have also been bothered by this new trend. I even find myself not downloading a free game when I see the “Top In App Purchase” information. Turns me off and hesitant to get it. I’ve done that too many times to remember, sadly. Theme Park and other such ‘Freemium’ titles are the sort of soulless commercial drivel that make me sick. Frankly if you choose to buy any of this overpriced garbage then you are selling not only your own soul to the devil, but the rest of our souls as well. As the review clearly points out, the fact that these things are somehow duping people into spending money will only serve to steadily move us toward acceptance. DO NOT FALL FOR THIS COMMERCIAL RUBBISH! Keep games great and buy from developers that produce a quality player focused experience, and not a money grabbing one.